The Beloit Snappers 2018 season came to an end Friday night with a 4-0 shutout loss in game two of a three-game series and the first game of a Friday double-header to the Cedar Rapids Kernels at Perfect Game Field. The Kernels took game one by a 10-1 score at Pohlman Field Thursday night. 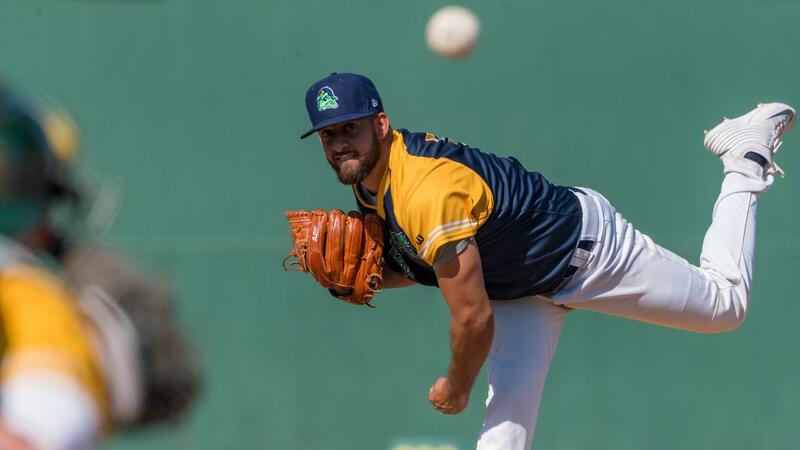 For Beloit, it was the first playoff appearance since 2013 when the Snappers made it to the semifinals against the Quad Cities River Bandits. The Snappers used a Kane County Cougars loss and their own 3-2 victory over the Kernels on September 3rd, the final day of the regular season, to book their ticket to the postseason as the second wild card in the Western division. Friday night saw the Kernels get started early. Leadoff hitter Akil Baddoo, who had nine extra-base hits against the Snappers coming in on the year, singled to right in the second inning to score Ben Rodriguez. Jack Meggs threw out Michael Davis on the throw home to keep it at just a 1-0 game. Cedar Rapids padded their lead in the fourth with two more runs. David Banuelos bunted to get on base, scoring Victor Tademo and later Trevor Larnach singled home Baddoo to make it 3-0. The Kernels would tack on one more run in the fifth on a sac fly from Davis to score Rodriguez again and make it 4-0. In the series, Cedar Rapids scored 14 runs in two games on 18 hits. The starting pitching for the Kernels dominated the Snappers all series and Friday night was no exception. Kernels starter Randy Dobnak, in his fourth start against the Snappers this season, earned his second win against them this season and went the distance of a complete game. He finished with all seven innings pitched, six hits surrendered, zero runs, one walk and eight strikeouts. The bats never got going in the series and on Friday night, the Snappers managed just six hits from six players, were just 1-for-4 with runners in scoring position and left seven men on base. The Snappers had an early opportunity to get runs on the board. A Lazaro Armenteros walk and a Logan Farrar single put runners on first and third, but Ryan Gridley grounded out to third to end the frame. Their next best opportunity came in the top of the seventh. Jack Meggs led off with a single and advanced to third after Jordan Devencenzi's single to right. Nick Allen would strikeout and the game would end on a line out to left field off the bat of Austin Beck. Left-hander Ivan Andueza got the start for Beloit, earning the loss in 2.1 innings pitched and giving up one run to go along with four strikeouts and three walks. The bullpen arms of Ty Damron, Nick Highberger and Seth Martinez combined 3.2 innings of relief, surrendering three runs on five hits with four strikeouts and one walk. For the Snappers, it was their 13th time being shutout this season. Cedar Rapids has now gotten out of the first round of the Midwest League playoffs five straight seasons, earning four consecutive sweeps. All first-round matchups in the 2018 Midwest League playoffs resulted in sweeps, with the Kernels, Peoria Chiefs, West Michigan Whitecaps and Bowling Green Hot Rods moving on after two games. The Kernels will now go on to play the Peoria Chiefs in the Western division finals. Peoria took the wild card spot in the first half of the season and swept the River Bandits in the first round.